(AP) ZURICH - Soccer's rules-making panel approved headscarves for Muslim women players on Thursday, reversing a ban on the Islamic hijab that was enforced in FIFA competitions for five years. The panel, known as IFAB, gave its approval to the headscarves after FIFA's medical committee concluded that two scarf designs submitted to its experts do not threaten female players' safety. 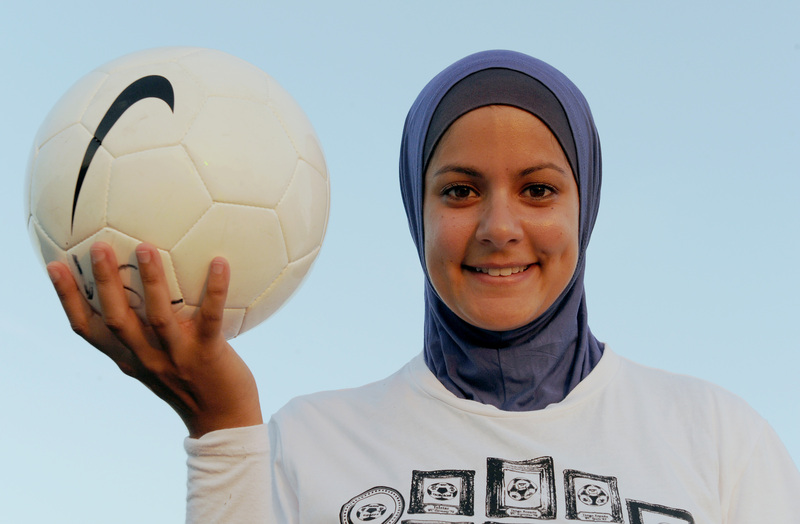 The laws of football prohibit equipment that is dangerous or makes religious statements and headscarves have been banned on the football field since 2007. "Currently there is no medical literature concerning injuries as a result of wearing a headscarf," FIFA said in a statement after the meeting, adding that Thursday's decision will be reviewed at the IFAB Annual General Meeting in 2014. The design, colour and material permitted to manufacture the headscarves will be defined and confirmed at the IFAB annual meeting in October, the statement also said. The two designs approved Thursday use quick-release velcro fasteners and light magnets to tie the scarves bellow the chin. FIFA vice president Prince Ali of Jordan led a year-long campaign to overturn the ban, and allow observant Muslim women - or female players, who live in countries that make headscarves mandatory for women to wear in public - to play the game. Last year, Iran forfeited London Olympics qualifiers because the team's players were not allowed to play with headscarves.